Then Sir William smiles at the camera after his acupuncture treatment. 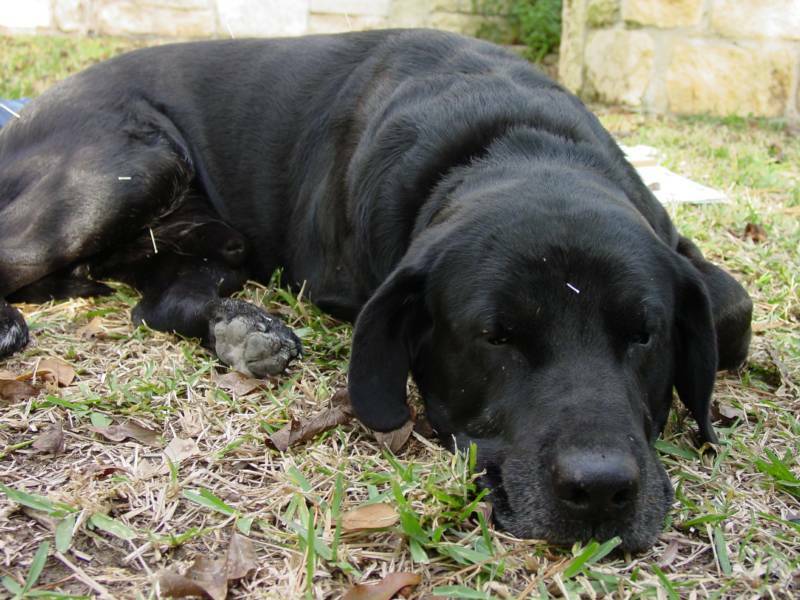 Jager is sleeping during his acupuncture treatment. 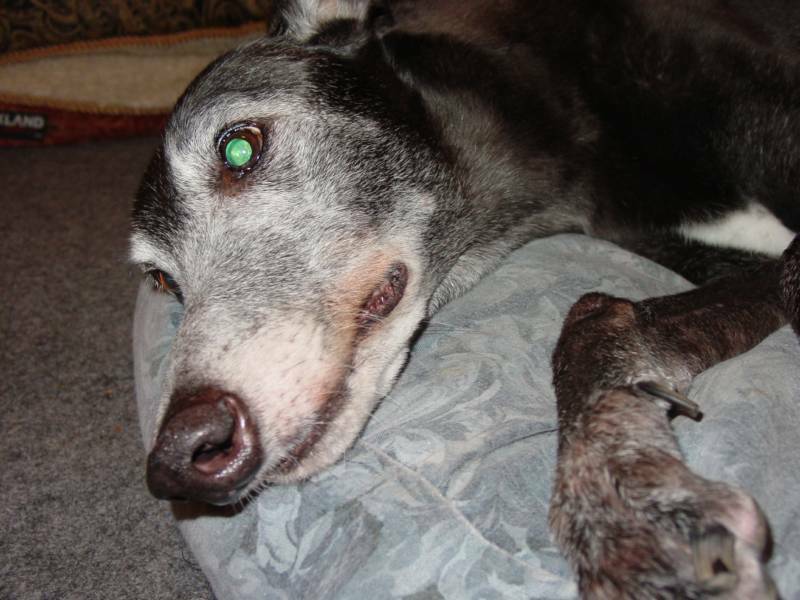 Sir William is a 12 year old greyhound who suffered from lower back pain and weakness. 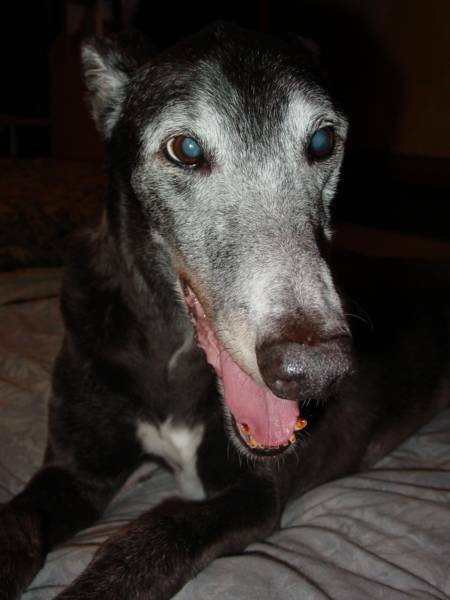 Since he is a fairly large greyhound he had difficulty standing for short periods of time. His problem became worse when he was not able to stand to finish his meals. Since Sir William is a stubborn dog he would nevertheless fade in front of his bowl rather than sit down and wait for us to help him. 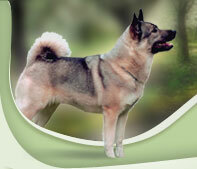 We started him on acupuncture treatments and they increased his mobility and strength. 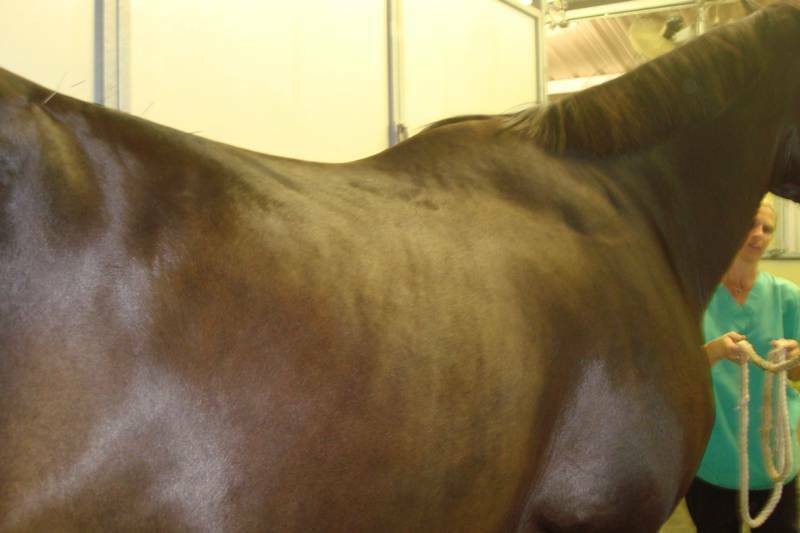 After the initial weekly treatments we were able to space them out to where he was receiving treatments every 4 weeks. His attitude improved and he was able to stand for longer periods of time. Jager is a nine year old black lab. As well as being a great family pet, he is a trained hunting dog. When he was 4 years old, someone shot him in the back leg with a small caliber rifle. After having surgery (with six pins placed in his leg to hold his bone together) he made an impressive recovery. When he turned seven I noticed him slowing down a little and not getting around quite as well. By the time he was eight he struggled to get up (especially on cold mornings) and sometimes had a hard time keeping his back leg in the proper position to stand on; it just would slide out from under him. The Dr. who performed the surgery warned us of the probable complications that would come with age due to the injury. As we watched him decline, we decided we needed to try something to help him. Thankfully, we called Dr. Hein... and the results have been fantastic. He know gets up with ease (even on cold mornings) and no longer has a problem with his leg sliding out from under him. I was a little skeptical at first- but the results are obvious as he brings the children a ball to play with, or when he's fetching birds in the Dove field. I can't thank her enough for the patience, care and attention she gave to him. and is treated monthly. Now she can sit with her feet underneath her and wag her tail. Buddy is being treated for lumbar pain. 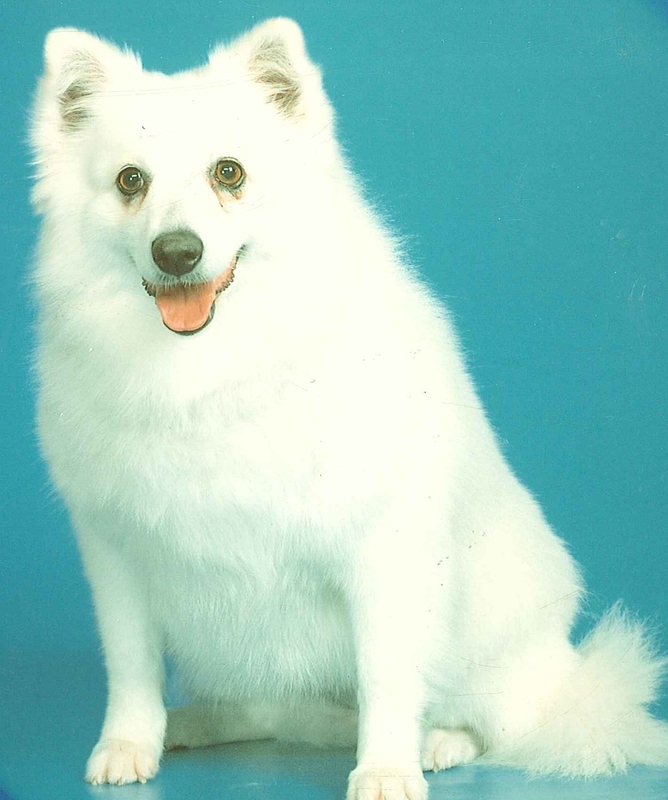 Neisha was a vibrant and very strong-willed American Eskimo. At the age of 11, she was diagnosed having congestive heart failure. Two years later she began to loose muscle mass in her back legs and was having difficulty getting up. Through a friend, we learned about Dr. Hein and called on her in an effort to improve Neisha's quality of life. Initially, Dr. Hein administered acupuncture treatments weekly. Due to Neisha's dramatic improvement, treatments began to be less frequent. Neisha's regular diet included recommended protein foods, Chinese herbs and supplements, recommended by Dr. Hein. Neisha looked forward to her food and quite often entertained us by singing, while we prepared her meals. We are grateful to Dr. Hein for allowing us many more high quality months with our sweet girl who left us at age 14. Heaven is shining a little brighter. My cat Cheeto was laying in my horse pasture almost dead. We found her in the afternoon heat. It was June. She was laying lifeless on the ground. I ran her inside, wrapped in my shirt and starting looking for the problem. Her eyes were moving back and forth rapidly and she was crying out softly. She was probably kicked in the head by one of our horses. My daughter had just turned 4 and was very upset. We rushed Cheeto to our vets office. Things did not look good but they had decided to put her on a drug for the swelling of her brain. They did not expect her to live through the night. The following morning the Vet called and told me that Cheeto was alive. They wanted us to come and get her because they would not be there over the weekend. When we got there they prepared us because Cheeto was blind and paralyzed. She came into the room with huge eyes and one thing she always did and was doing now........she was making Biscuits. Cheeto's bakery was open! Odd as it was this is why we didn't have her put to sleep. Western Medicine gave me steroids and sent me home and told me that after 7 days that was as good as it is going to get. Cheeto had a very hard time. We fed her with a syringe and helped her into the litter box. I slept on in my bathroom with Cheeto so she would not be alone. When I took her for her followup vet visit and they told me she would not recover....I couldn't accept that. She had made progress although very small. I decided Western Medicine had a place but it wasn't for me that day. When they had nothing left to offer and gave up on life. Cheeto and I moved on and went to the East Side! Eastern Medicine never gave up on Cheeto. Dr. Hein came into my home and not once said Cheeto wasn't going to get better. Cheeto's body wanted to heal, it just needed help. I threw the steroids in the trash and Dr. Hein started treatments. The first treatment involved her face twitching where it was paralyzed. After the 4th treatment Cheeto could perform all the daily functions of life although very slowly and she fell down a lot. After several months you would have never known she had a problem. Dr. Hein also formulated a diet suitable for Cheetos condition and Cheeto loved it. 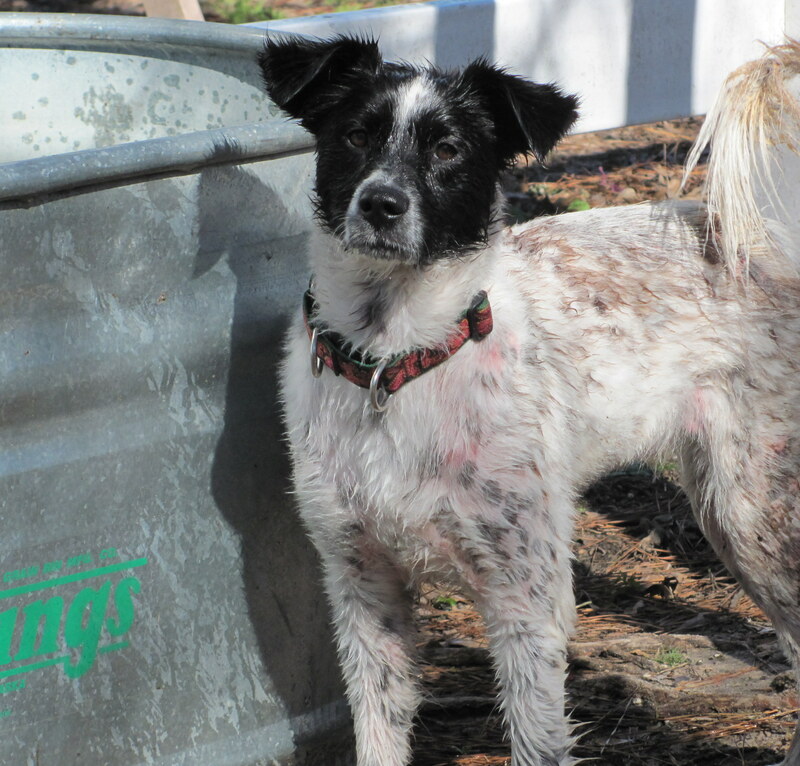 We adopted Treelee when she was 5 months old from the Texas Herding Dog Rescue. She had what we thought was kennel cough. We were treating her with Doxycycline everyday and waiting for it to pass. Unfortunately, Treelee had Distemper. The tell tale sign of the neurological twitch started with the back right leg. I called Dr. Hein immediately upon finding this and she began Acupuncture right away. Treelee is one of the few Distemper survivors out there that went through the amount of changes she went through and lived. At one point the other legs were twitching and jerking uncontrollably and because of Acupuncture, Chinese medicine and therapeutic diet she is alive today. I don't know who was more determined....Dr. Hein's desire to save her or Treelee's will to survive. Treelee has one back leg that still twitches but it does not slow her down one bit. She is my daughter's pride and joy and a very special family member here. She hasn't let this slow her down! She is the fastest dog we have and loves to do agility! Peach Nellie is a 14 year old collie. 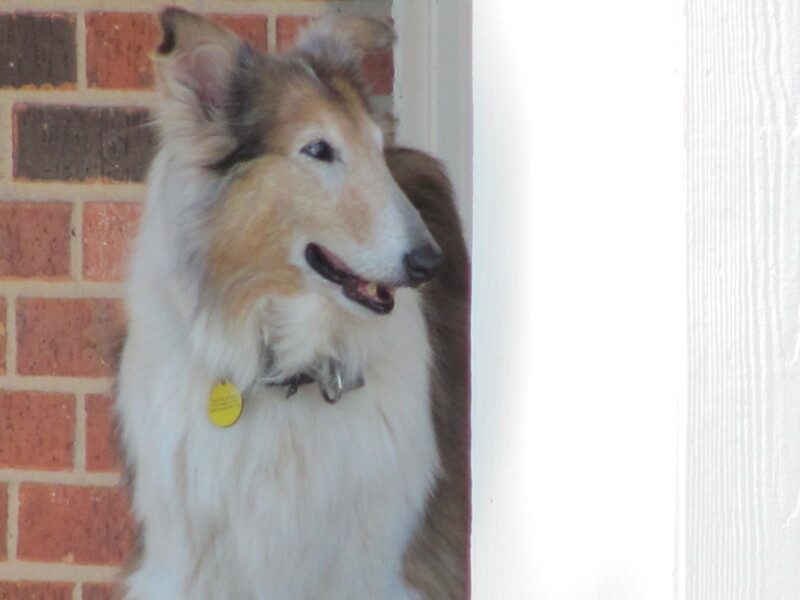 We adopted her from the Houston Collie Rescue when she was 12. She was extremely emaciated. We are lucky to have Dr. Hein and Acupuncture to keep her comfortable and active in her senior years. 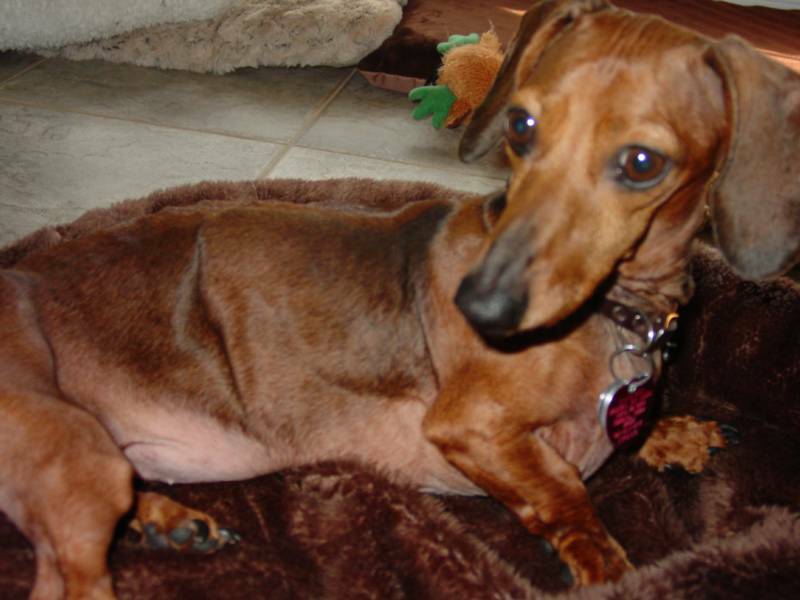 Peach Nellie looks forward to her visits and loves running like a much younger dog after her treatments. Eastern Medicine has given my senior a drive to life I had never known in her. I have only known Peach Nellie as an old dog but since starting acupuncture she acts much younger. I have been given a gift of time with my sweet girl and I get to watch her shine in the time she has left. 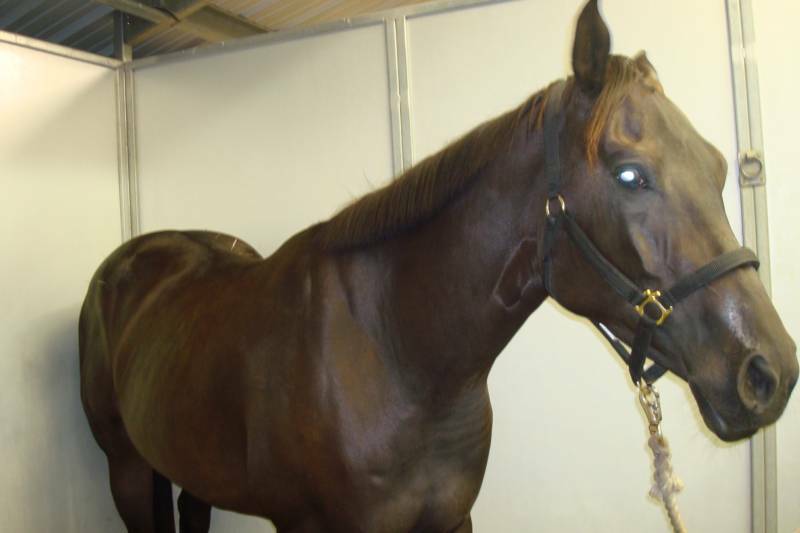 Handsome Hollywood was treated initially for arthritis then for weakness, inappetence, diarrhea and other problems over 2 years. He will never be forgotten! Spencer is treated for low back pain and knee pain. He loves his acupuncture! Maxine (pictured in the back) was treated for stomatitis and now has a new and happier look on life. Noble Caesar was treated for degenerative disease in his back. 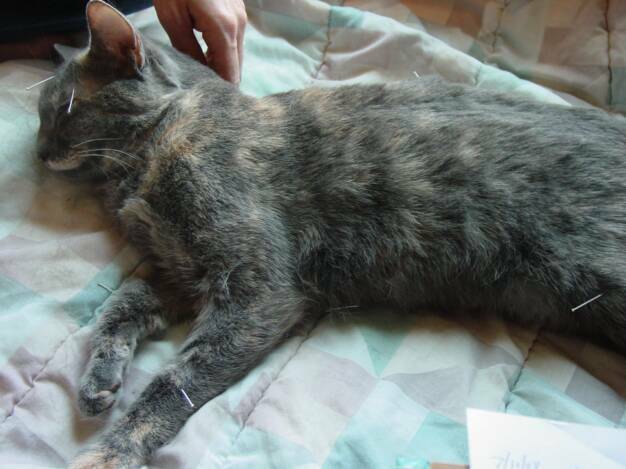 Sweet Callie is currently treated for constipation using Dry Needling, Electro-acupuncture and Moxa. Yes, Callie is a Calico who sits still for her treatments- the best Calico ever! A very exceptional cat! Novillero was treated for Anhidrosis with only 4 treatments. Lovable Reba is being treated for anxiety. An Alpaca named Whiskers was treated for weakness in his hind legs secondary to Heat Stroke. Frankie loves his acupuncture for his cervical disc disease and arthritis. 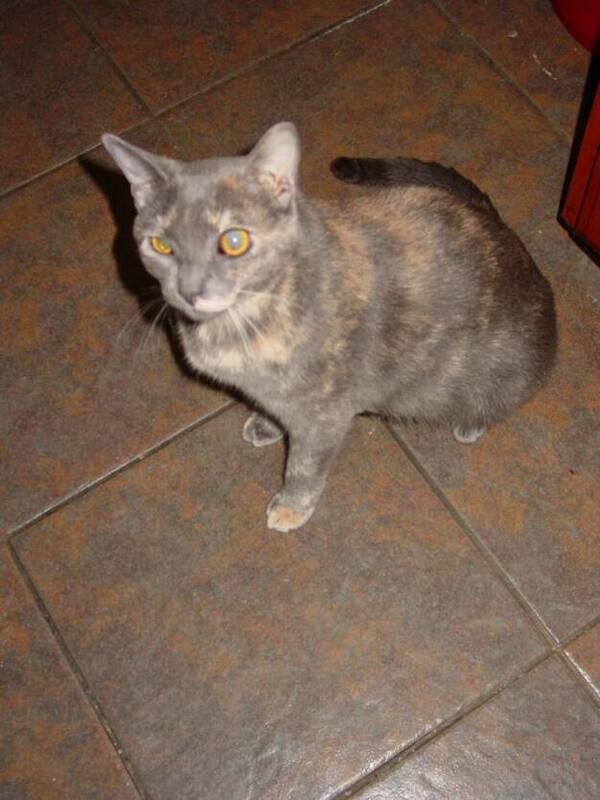 Sweet Mitsy Bitsy was treated for Acute Renal Failure and has recovered fully with normal kidney values. Abby is treated monthly for Degenerative Myopathy with Electro-acupuncture and has physical therapy with an underwater treadmill. She has had this disease for 2 years. A baby Red Kangaroo is treated for diarrhea. A baby Patagonian Cavy is treated for acute diarrhea with only one treatment. My name is Callie Mauk and our family are proud owners of a Welch Corgi. 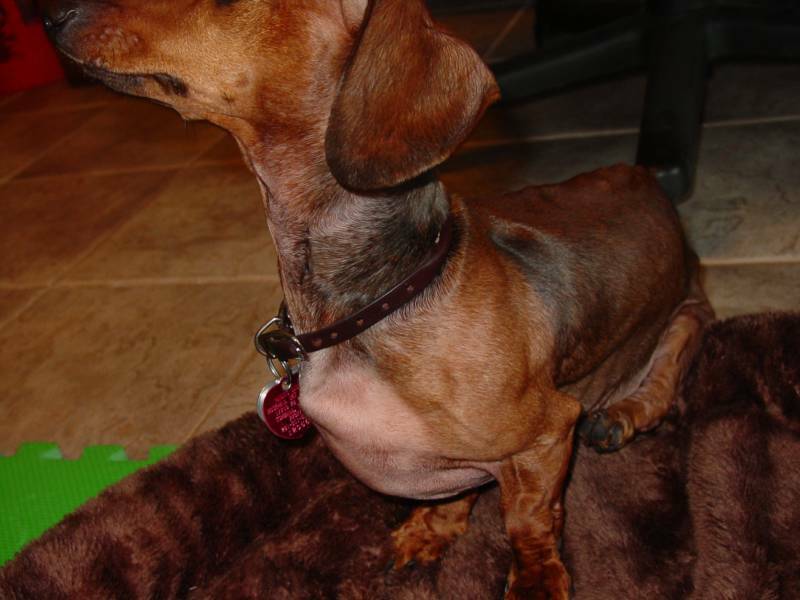 Last year our dog began showing signs of hip or leg problems. We took him to our redular vet and 6 others. They all said it was his hips and gave us medicine for pain and inflammation. The pain medicines just made him sleep. He just kept getting worse until he could not walk. We put his bed in a wagon and carried him from room to room and outside. The vets advised to put him down. We were just not ready. I go to the internet and look up acupuncture vets and found wonderful Dr. Hein. Ten days after Dr. Hein gave him 3 treatments and exercises for him to do he got up and walked. We could not believe it; our whole family was in shock. Dr. Hein has never given Rudy any medications except herbs that she knows all about and put him on a duck and sweet potato diet. If you eould like to come and see with your own eyes Dr Hein can give you our information. We love her and so does Rudy.